Sister Henrita Frost, SSND is a School Sister of Notre Dame who has been seeking spiritual deepening for personal and global transformation for many decades. She is a gifted spiritual guide and delights in the experience of facilitating spiritual deepening experiences and being inspired by those who participate. In recent years, Henrita has been engaged in creating mandala art. It has become a part of her spiritual deepening. She has been able to integrate this art into her writing and work of facilitating spiritual retreats at the Christine Center. 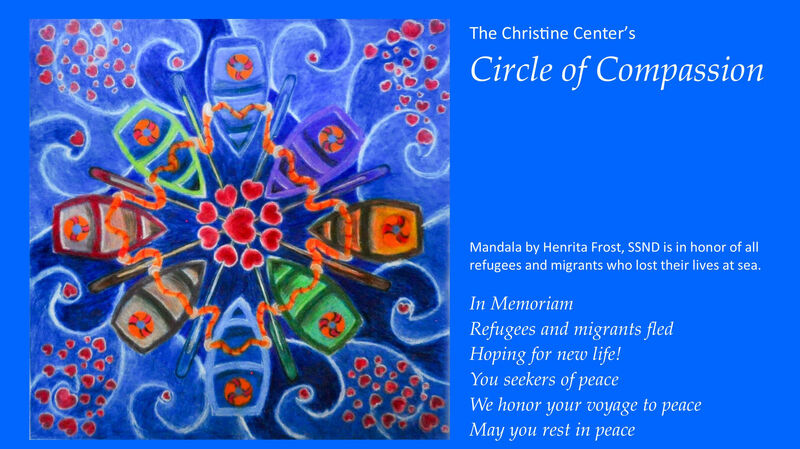 More recently Henrita initiated the Christine Center's partnership with the International Charter for Compassion and created a Circle of Compassion project, including a blog at the Christine Center. The inspiration to begin the partnership came from her time of ministry with her congregation when she worked with them in Rome for eight years. She was involved in developing an International Network of Peace, Justice and Integrity of Creation for her congregation which works in about thirty countries. Her heart’s desire is to continue to grow in compassion and to help expand it so that peace may prevail on earth. You can reach Henrita at the Christine Center in Willard, WI 54493 at 715.267.5703. The Christine Center Peace Pole stands as an international peace symbol with more than 200,000 Peace Poles planted in almost every country throughout the world. 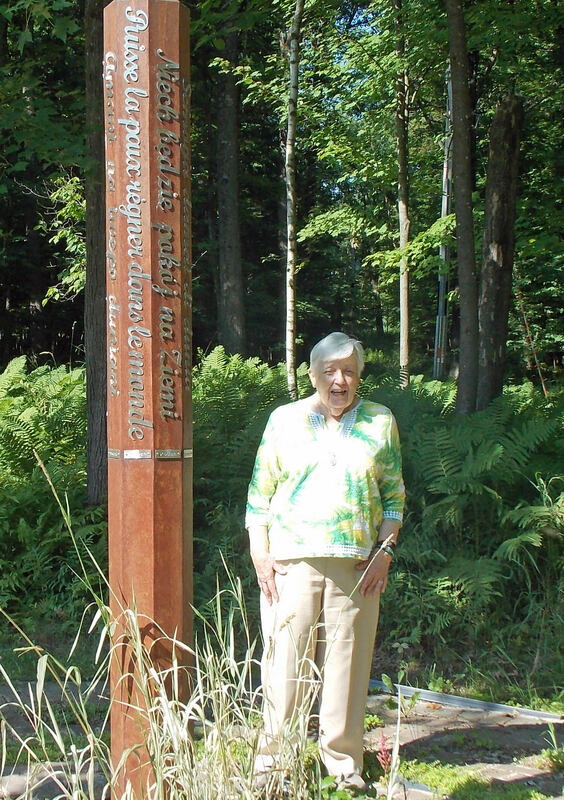 Our passionate desire is to unite people across the world through the universal peace message, “May Peace Prevail on Earth.” The Christine Center’s Peace Pole was created by sculptor Henry Eisenhauer in 2011 with May Peace Prevail on Earth in eight languages. Mysterious home • Darkness covers, a light beams • Hope may be alive. Love and Compassion • Revolution for this moment • Come, plant it deeply!